Divide et impera, divide and rule. Though the majority of us may not know the Latin, most can recognize the enduring truth of this principle. Division reduces the effectiveness of a group’s power. Alone man is vulnerable, but together men are formidable. That is precisely why events, like Ignited By Truth, are critical right now. 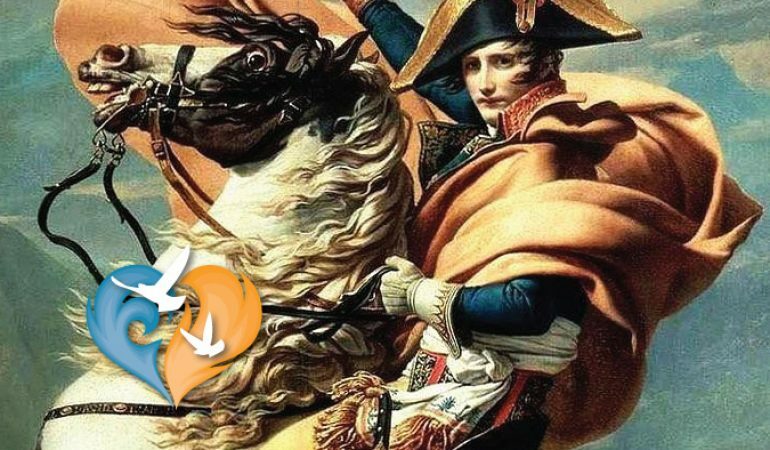 Great leaders throughout history, from Philip II of Macedon to Napoleon Bonaparte of France, have cried the maxims divide et impera and divide ut regnes. They understood the political and sociological advantages of separating the enemy’s forces, of scattering the opposition. Jesus Christ and his apostles understood it, too. Which is why they urged the early Christians to unite. Jesus Christ established One Church. The members within His Church form One Body; and as a Body each member contributes his strengthens and draws aid for his weaknesses. Therefore, right from the start, Christians were called to form one community. Because, together, they could better care for one another and safeguard the teachings of Christ. As a people watcher, I often find myself silently studying my fellow man. Whether it be the guy across from me at the airport gate or the girl standing on the other side of the cash register, I’m drawn into a contemplation of their body language and speech. Consistently, I’ve noticed two things wherever I go. Firstly, people are separated. Secondly, people are desperately seeking to feel valued. 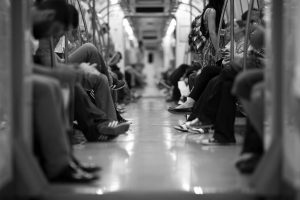 Whether sitting on the bus, or around the table, individuals are separating themselves from the group. Teens and adults, alike, stare at their cell phones, rather than converse with the people next to them. Though they may be in the company of others with similar interests, they rarely take the time to connect with the persons who are physically positioned to their right and left. Yet, for all of the disconnecting people do from one another, they desperately desire to be recognized, to feel wanted. They watch videos that promise to teach them how to grow an audience, listen to podcasts about building communities, and Google “ways to gain followers”. In fact, there is profit to be made if you can train a person in how to become popular. Truly, this desire for union is written on our very hearts, but, in general, we’ve forgotten that. Instead, we focus on the necessity to network for the sake of selling our products and services. But we ignore the human need for communion, the innate desire to be part of something (i.e. a family, a team, a community, a Church). Of course, we recognize when we are dismissed or disregarded. Online forums are ripe with complaints about perceived insults. News articles highlight excluded individuals. Publicly, we proclaim our expectation to be seen, heard, and acknowledged. However, privately, we wall ourselves off from our neighbor (on the bus, in the pew, at the dinner table) and withhold our attention from him. So, on a superficial level, we still understand that a strong community is a safeguard in the world of business and politics (i.e. an audience for your platform or a wide demographic for your policies). But, we are missing out on the deeper human longing to belong to a community that is committed to our beliefs and well-being. As a parent, I am most acutely aware of the vulnerability of our youth in today’s fractured culture. Young people, in every age, have looked to form bonds with the community around them; to find their place among the group. They used to have strong families, thriving parishes and like-minded peers to guide them. However, today, many of those models are either absent or shut off to youth. Instead of feeling adjoined to the community, youth experience the pain of amputation. That is to say, in their hearts they know that they belong to the whole, but in reality they feel cut-off, wounded. Not finding a welcoming community, many are left seeking. So, they attempt to fill the void; but much of what they encounter is a counterfeit substitute, at best. Because the enemy of Christ knows that a generation split apart makes an easy target for his assault. Therefore, he’s happy to lure men with fleeting fancies, corrupt heroes and selfish goals. This is precisely the reason why we need the antidote of the Ignited By Truth Catholic Conference and similar events. Because the conference draws people together and inspires them to recommit to the enduring community of faith. 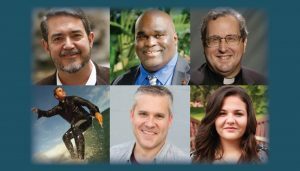 Through the witness of faithful Catholic speakers, attendees learn that they are not alone in the journey. The sheer number of attendees at IBT is a reminder that we belong to the Body of Christ. Christian products in the vendor area provide good resources for growth and action. Ignited By Truth is an opportunity to recollect our purpose as Christian individuals and reunite as the Body of Christ. It is the place where we can overcome the world’s intent to ‘divide et impera’ and reclaim the Christian call to ‘conduc et impera’, lead and rule (to lead all to Jesus, so that He can rule within every heart). 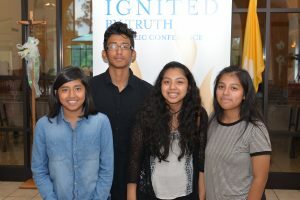 Go to Ignited By Truth on Saturday, April 28th, 2018. Invite others to attend IBT. Buy a couple of extra tickets and give them to people. Personally, extend an invitation to family, friends, co-workers, fellow parishioners, the mailman, etc. Invite, invite, invite. Tell everyone about the Youth Track and the Spanish Evening Program. Extend a personal invitation to students, grandchildren, your church’s youth group, your Spanish-speaking friends, etc. Volunteer to help make IBT a success. There are lots of openings for volunteers, sign-up and help out. While at IBT, connect with people. Make new friends. Talk to the person seated next to you while you are waiting for the speakers to begin. Exchange a smile and a kind word with someone in the vendor area. Ask questions of the vendors, support their businesses. What a powerful and meaningful share. You’e stated what is happening in our world, country, communities and home. You’ve brought light to the challenges our children are seeing by their separation from families and connection mostly caused by their proficient and consistent use of technology and cell phones. You’ve touched upon the great divide to créate a chasm where the enemy can now penetrate the hearts, souls, and minds without barrier. Thank God for IBT and for all who are part of making this calling a reality for the rest of us. May God Be blessed and lifted and may we be inspired to shine with courage, integrity, fellowship, hope, love and determination to make our homes, lives, families, communities a place where God lives. Only then, can we be instruments of hope for our country and the rest of the world.